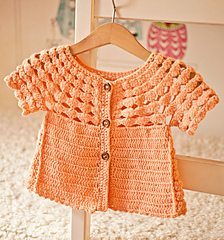 Easy and fun cardigan to make for those warm and sunny days! 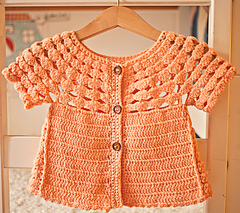 It is 100% seamless, includes two versions - with long and short sleeves. length is very easy to adjust, you can repeat last rows more (or less) times to make it longer (or shorter). With sport weight yarn - work 20dc and 9rows to measure 10x10cm or 4x4in using 3.75mm hook, or size required to obtain the gauge.